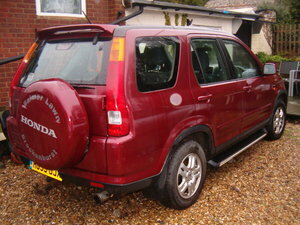 Having just had our full PDI which included a new set of front brake discs and pads plus an oil and filter change, this very nice 2004 Honda CRV I-VTEC SE Sport Automatic is now ready for its next owner. 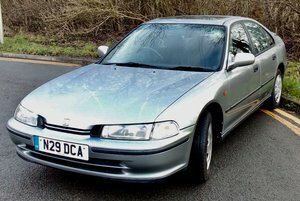 With a full history and 101K on the clock it drives very well with its 2 litre petrol VTEC engine given good performance when required while the overdrive equipped auto box changes smoothly throughout the Rev range and gives comfortable cruising at motorway speed. Inside is fully equipped with half leather seating, Electric Windows, Central locking, Air conditioning etc etc. There is even a cool box built into the dash board, all in excellent order. Exterior wise it is good with just a small dent on the lower edge of the rear Tailgate. Comes with 6 months warranty ( £1000 per claim upto a total value equal to purchase price), 6 months Roadside Assistance and 6 months recovery included in the price, a full set of owners books in the original wallet and an MOT until rth November 2019. 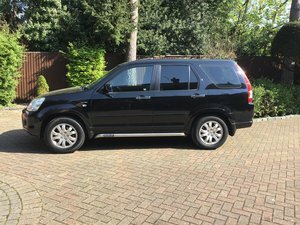 Excellent car 3 owners with history alloys,side steps,A con,Very nice interior,some scratches to body.No rust,Only selling as need Automatic.Any Trial/Inspection.